UNITED NATIONS, Jul 11 2013 (IPS) - On Thursday, the international community recognises World Population Day, a time of assessment, discussion and projections for the future that necessarily gives great weight to the rights of women and girls and particularly their sexual and reproductive health. This past week, the Netherlands has been host to the International Conference on Population and Development (ICPD) where equality and the rights of every person have been highlighted. According to Population Action International, a non-profit organisation geared towards making contraceptives accessible to all women all over the world, some 215 million women currently lack access to family planning. This leads to unwanted pregnancies, unsafe abortions, medical complications during birth and even death, not to mention the economic setbacks and educational detours that may accompany the raising of a child. As the framework for the post-2015 development agenda is being prepared, it has become clear that human rights and sexual reproductive health are intertwined with economic growth and sustainable development. 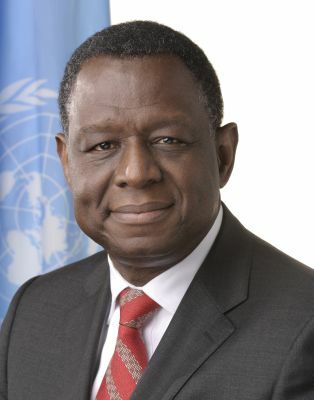 IPS correspondent Joan Erakit spoke with Dr. Osotimehin about the challenges and opportunities facing women and girls when it comes to voluntary family planning, and protecting human rights in order to sustain the post-2015 Development Agenda. Q: What is the relationship between sexual and reproductive health and human rights? A: The best way to capture it is to come back to the ability of girls and women to exercise their basic human right of choice, and freedom to access education, to access services, to access opportunity. It also ensures that they can develop their full potential, and finally to make choices about how many children they want to have – if they want to have them – what’s the gap between the children they would like have, and do so without coercion from anybody. Q: What happens to a woman when she is given the opportunity to decide when she wants to have kids? A: What tends to happen from the experience and the research we have is that they tend to have as many children as they can afford to look after. And they also tend to have the children, given the interval, so that they can be healthy. And that has implications for contraception; so they must be able to access contraception to enable them to exercise that right to its fullest. Q: Because economic growth and development are greatly connected to voluntary family planning, how do we show this kind of information to local communities and governments so that they can invest in family planning? A: There are two approaches to it. The first approach is a short-term approach, which is to actually demonstrate that, from a service perspective, when you invest in family planning there is always a return on investment. For every dollar that you invest, there’s a minimum of three to six dollars return on the investment. The long term is that the woman or the girl would be able to freely develop herself, access quality education, access skill development, be able to get a job, or start a business. Do something for herself that makes her economically viable and contribute to community in terms of development. When a woman has access to contraception and she is able to develop her potential and she is able to have the number of children she can afford to have, the children tend to do better than the women who don’t have that access. We know for a fact that when you look at the metrics of it, girls who don’t go to school, when they have kids, the kids don’t do well. So, there is a cycle of poverty. Once they go to school and they are older than 18, their children do better. What you are doing is ensuring that you have generations that are actually having access to several things, and in that sense building human capacity that drives economic growth. Q: What are you looking to add to the post-2015 development framework in regards to the rights of women and girls? A: The post-2015 development framework is one where we must assert the issues of reproductive human rights, and the fact that women and girls must be the centre of human development. If you don’t have human development and human capital development, it’s going to be difficult for you to have sustainable development.